I’ve been working in the ski industry since 1988, but it was only this year that I went on my first skiing holiday as a ‘punter’. After the initial shock at how expensive ski holidays are for a family, the disappointment was that on my first skiing holiday as a guest I ended up complaining to our tour operator – Family Friendly Skiing. As you can guess, Family Friendly Skiing (or FFS…), are a specialist family operator. They were recommended by friends, and have a great January deal, which includes their childcare programme in the price. Unfortunately the two nannies tasked to look after the children in our chalet were below standard. I won’t detail their faults here, but we advised the resort manager mid-week and were promised the childcare would improve. Sadly it didn’t. On arrival back in the UK, four of the five families complained to FFS. 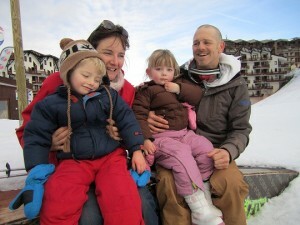 Three families didn’t receive a reply, and the fourth received a curt suggestion to ‘avoid Morzine – no snow and that is much worse than lousy childcare’. I can confidently predict that none of the families will book again with FFS, nor will any recommend FFS. While reflecting on this, purely as a mathematical exercise, I wondered what the consequent cost might be to the operator. Let’s start by being generous and assuming that the feedback led FFS to change or reinvigorate their failing staff, and that they did not alienate any additional customers during the season. Let’s also go contrary to my own personal beliefs and assume that any negative comments made by the unhappy customers via Twitter, Facebook or blogs had no effect on future bookings. Then let’s give an average customer lifespan of four years to each family. All had young children and would need childcare for at least that time. None would run out of skiing in the Three Valleys and all agreed that La Tania was a great location. The chalet and the chalet staff themselves were both very good. Now let’s factor up the impact of the referrals returning customers would make to other friends looking for a good ski holiday for a young family. We travelled on the basis of a recommendation and before we our holiday we had several other families asking us to let them know how it went. Additional years would remain at 16 due to the four year lifespan of each customer. Let’s just say that each family has two adults travelling and two children and conservatively estimate that the package cost for each family averages £3000. This is a January price. Obviously it would be more for any school holiday sales. That makes £24,000 lost revenue in the first year, £36,000 in the second year and £48,000 in the third year and each year thereafter. So £108,000 in foregone revenue for the next three years. Now, we all know margins are thin in the ski industry, so let’s be prudent and apply an rate of 10%. That’s a smidgeon over £10,000 lost from the bottom line. Now of course, this is just a bit of fun. These figures can be manipulated to show anything you want and there are plenty of holes to find in my logic. FFS will find new customers for free from other, satisfied, customers, or they could advertise to acquire more (although that would increase their costs and impact on their bottom line). Additionally higher wages to secure better staff might work. But paying the best wages doesn’t necessarily guarantee employing the best staff. It’s not a perfect market. What I’m seeking to do is to demonstrate the cost to a business of employing poor staff. The only reliable solution is to allocate more resources to recruitment and training. But to paraphrase Mandy Rice-Davies, I would say that, wouldn’t I…! Excellent analysis and something quite possibly lost on most people running ski businesses, though the learning is one very carefully adhered to by the best in the business. I wonder if anyone from FFS will come across this and think “oops”. To me, they’ve shown poor commercial acumen as well as poor service – doesn’t bode well for their future. Always learn from lapses in service quality, IMHO – they’re represent the best chance for you to get better and implementing the learnings will always (almost) save you money on the long run – hence compensating aggrieved people can be off-set against future gains (rather than being regarded as a loss of revenue).